Experts say Rogozin’s inclusion on U.S. and EU sanctions list will make it "impossible" for senior level meetings with his NASA and ESA counterparts. This article originally appeared in the June 4, 2018 issue of SpaceNews magazine. The past four years have been turbulent ones for relations between the United States and Russia. After Moscow annexed the Crimean Peninsula from Ukraine in 2014, the U.S. and its allies in Europe began an ever-escalating series of sanctions, often met with asymmetric Russian retaliatory measures. And almost everything is caught in the crossfire. Against all odds, the United States and Russia have managed to keep things relatively civil when it comes to their relationship in space: particularly with regards to round-the-clock cooperation between NASA and its Russian counterpart Roscosmos. Space agency leaders on both sides have largely avoided political controversy. The mantra, at least officially, has been straightforward: The work must continue. But late last month, Russian President Vladimir Putin threw this partnership its biggest curveball yet with the appointment of former deputy prime minister Dmitry Rogozin as head of Roscosmos. The man who has spent four years trolling the U.S. for its reliance on Russian rockets to reach the International Space Station has been given the reigns of NASA’s most important partner. The U.S.-Russian space partnership is one of technicalities, not of personalities. But Rogozin is potentially toxic to this relationship from the standpoint of technicality. In 2014, he was placed on the U.S. sanctions list, along with other officials, “to impose costs on named individuals who wield influence in the Russian government and those responsible for the deteriorating situation in Ukraine,” according to a White House statement at the time. 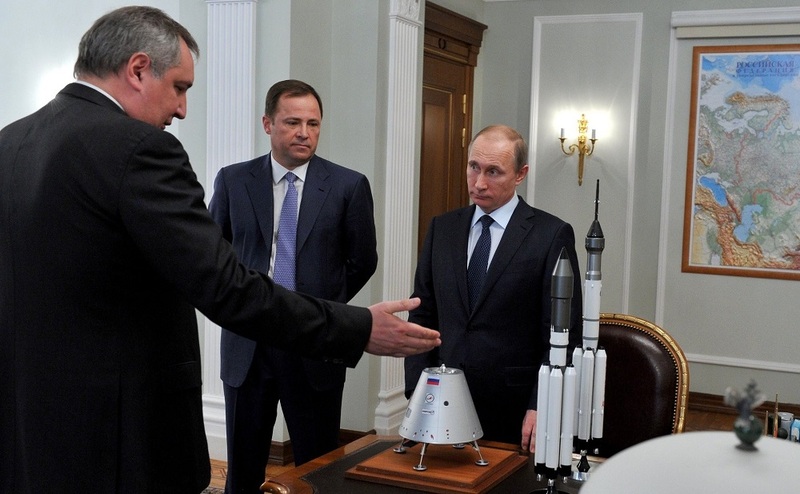 For no other reason should Rogozin’s appointment give NASA leadership a moment of pause. And if Rogozin’s rumored plans for Roscosmos pan out, the sanctions situation could get even harder to work around. The most immediate question is how Rogozin will travel to meet American and European space officials on their home turf, or how interagency agreements can be signed when the signature belongs to a sanctioned individual. And it isn’t an academic one: Rogozin has been denied entry to the West since sanctions were imposed. In 2014, when Romania denied his aircraft access to their airspace en route to Moldova, Rogozin lashed out: “Upon U.S. request, Romania has closed its airspace for my plane…Next time I’ll fly on board TU-160,” he said, referring to a Soviet-designed supersonic long-range strategic bomber. Last year, he tried to take a civilian flight to Moldova. The plane was diverted. Rogozin’s appointment was likely a consolation prize for losing his seat in government as pointman on all things related to the defense and space industries. And with few good ideas floating on how to save Roscosmos from oblivion, he may achieve his rumored ultimate goal: the merger of Roscosmos with several sanctioned Russian defense industry enterprises. And though his appointment was likely the product of domestic political machinations, there may be an additional undertone. “It would not surprise me if the decision to install Rogozin at Roscosmos was motivated in part by a desire to force Washington to make a tough decision, either compromising on the sanctions implementation or seeing NASA-Roscosmos ties go the way of other bilateral partnerships” says Jeffrey Mankoff, a Russia analyst at the Center for Strategic and International Studies in Washington. 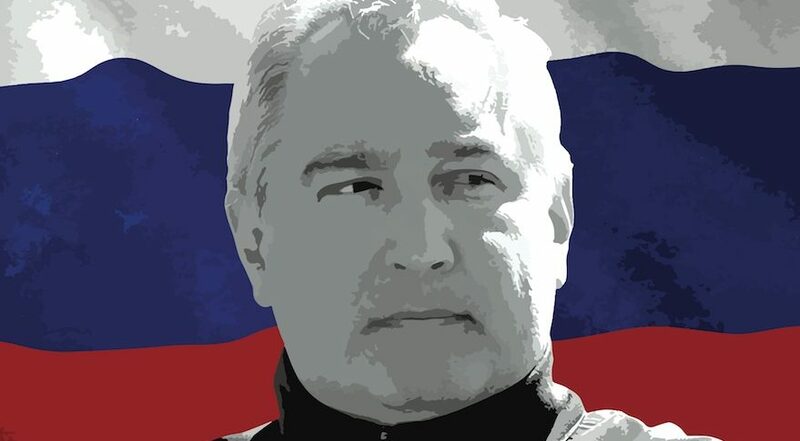 Rogozin rose to prominence in Russian domestic politics around the turn of the century as the head of a strident Russian nationalist political party known as Rodina (Motherland). It was a “Russia for Russians” movement, opposed especially to ethnically diverse migrants flooding Russia from former Soviet states in Central Asia and the Caucasus. But the Kremlin has been historically wary of such nationalist movements. In a hyper-centralized system such as Russia’s, nationalism can be a useful tool to generate popular support for the regime. But it can also spin out of control, as nationalists find common cause with opposition movements when the regime is seen to be out of touch or detrimental to the people’s interests. In 2005, Rogozin’s party was banned from taking part in elections after its campaign ads were found to incite racial hatred. This marked the end of Rogozin’s career as a potential challenger to the Kremlin, and the beginning of his new look as an eager member of the ruling elite. In 2008, he was sent abroad as Russia’s representative to NATO. There he was a mouthpiece for a Kremlin increasingly antagonistic toward the West. Rogozin ruffled feathers at NATO, trolling members and hanging a portrait of Soviet leader Josef Stalin in his office at the Brussels headquarters of the transatlantic military alliance. He has since then carved a niche for himself in the Russian elite by focusing his attention on the world and Russia’s place in it, advocating strongly for Russia to rearm and reassert its global standing. In 2011, Rogozin was given a seat in government as a deputy prime minister. His portfolio included oversight of the Russian defense and space industries. 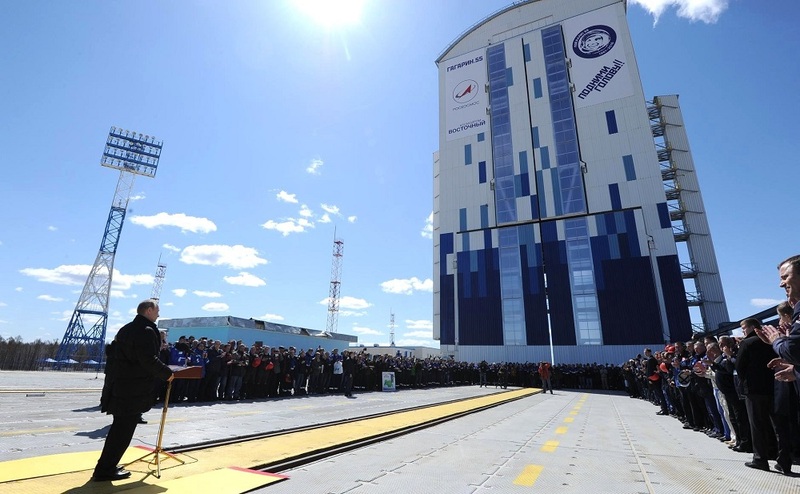 In this capacity, he began to take on an ever-increasing role in shaping the future of Roscosmos, which by that time had begun to show serious signs of deep, systemic crisis. The future of the program was on the line. As a deputy prime minister, Rogozin was tasked with reforming Roscosmos and the space industry that supported its efforts. These efforts began in 2013, and borrowed from corporate consolidation models used throughout post-Soviet industries. As such, the state-owned United Rocket and Space Corporation was founded and took control over much of the industry. Rockets continued to crash, and reform efforts showed little results. 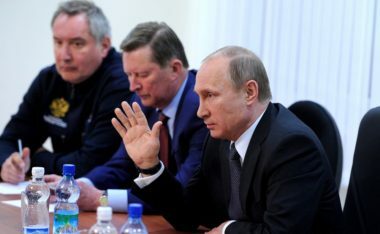 In 2015, the next phase of Rogozin’s reform efforts went into action: the state space agency Roscosmos was liquidated, and a new state corporation known as Roscosmos was formed and absorbed the United Rocket and Space Corporation. Three years later, the situation hasn’t improved. The Russian government’s current Federal Space Program, a budgetary and planning document that outlines priorities in space over 10 year periods, was cut and rewritten several times in 2016, resulting in a majorly downgraded roadmap for Russian space exploration. It just isn’t clear how to fund ambitious projects. It is hard to say whether or not Rogozin was demoted or promoted this month when it was announced he would not be given a seat in a new government cabinet. On the one hand, his appointment to Roscosmos appears to be a consolation prize. On the other hand, his role in the cabinet was advisory, not executive. He may have more power over reforms now than before. One unidentified source quoted by the Russian RBC news outlet in the lead-up to Rogozin’s appointment said that the appointment is something of a placeholder. This newer Roscosmos, if such reports are accurate, could be problematic for NASA and the European Space Agency. “There are rumors of a possible merger with Almaz-Antey, RTI and Tactical Missiles Corporation,” Luzin says, agreeing with several other recent reports in the Russian press. These companies represent the defense industry’s major players in military missiles, and Almaz-Antey is Russia’s most profitable defense company. Such a move would appear to be driven almost entirely by short-term domestic considerations, it isn’t evident space cooperation with the West has much clout in what is taking place behind the scenes. A merger with Almaz-Antey and related corporations — almost all of which are sanctioned — would suggest the plan is to use military sales to finance space exploration. There may be an easy answer to all of these questions, says Jeff Rathke of the Center for Strategic and International Studies: an exception for NASA activities built into the 2017 Countering America’s Adversaries Through Sanctions Act, the latest sanctions law.